Envision Business & Computer School Publishin, 9780997186628, 68pp. Eleven-year-old Megan Moffat was always with her dad. She had been reading with his help since she was five, and he helped her through most of the difficult words. She thought he was the smartest person in the whole entire world, then before her twelfth birthday, her dad passed away, with no warning. One minute he was alive and well, and the next he was gone. Megan is sad. She never got a chance to say goodbye, but more than that she misses her dad something terrible. Also, she now has to do her schoolwork without his help, and it's proving to be very difficult. Just in the nick of time, she remembers something her dad had told her about creating a memory trigger, when she had a hard time remembering her schoolwork, especially those troublesome pronouns. 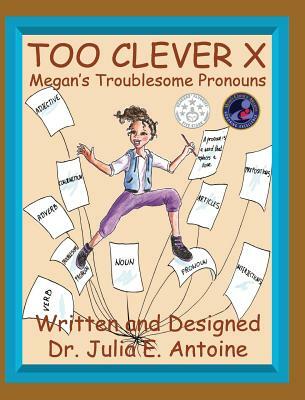 Read Megan's story to find out how she masters those troublesome pronouns and goes on to win an essay competition. And especially, how she learns to cope with the death of her beloved father.